Percy Grainger visited George ‘Daddy’ Lane aged 83 at Winchcombe workhouse on 5 April 1908 when he sang The Banks of Sweet Dundee, Claudy Banks, High Germany, The Irish Girl, The Nightingale Sings, Shepherd’s Song, Susan My Dear, ‘Twas Early, Early All In The Spring, The Valiant Munroe and The Wraggle Taggle Gypsies. Also Grainger returned on 24 August 1908 when George ‘Daddy’ Lane sang him We Shepherds Are The Best Of Men. Grainger noted that ‘Daddy’ Lane had died before his return to the Workhouse on 31 July 1909. George Lane was born in Alston, variously in Worcestershire and Gloucestershire, in 1825, where he was christened on 24 April of the same year, the son of Thomas and Margaret Lane born about 1785 and 1786 respectively . He married Caroline Redding in October 1848 in Winchcombe. Caroline was born in Wormington in about 1824. In 1841aged 15 he was living in Alstone with his parents, Thomas and Margaret. Thomas was an agricultural labourer. By 1851 he was still living in Alstone but now working as an agricultural labourer living with Caroline and his one-year old son, Charles. In 1861 he was living at Alstone Farm, working as an agricultural labourer with his mother, his wife and their 5 children: Charles aged 11, a farm labourer, Lucia aged 9, Emma aged 7, William aged 5 and Joseph aged 2. All the children were born in Alstone. They had another daughter, Mary Ann, about 1867. By 1861 George was still living in Alstone with his wife and his son Joseph, all working as agricultural labourers, and another three children: George aged 9, Hurbert aged 6 and Emma aged 4, all born in Alstone. By 1881 aged 56 George was a Carter living in a house on a farm in Alstone with his wife and sons: Joseph and Herbert, agricultural labourers, and George, a blacksmith journeyman. At the time of the 1891 Census he and his wife were living in Alstone Fields, Gloucestershire. Staying with them was their son William’s daughter, Florence aged 11, born in Hinton, Worcestershire. Both were working as farm labourers. George’s wife, Caroline, died aged 65 at the end of 1892 in Winchcombe Registration district and at age 77 in 1901 George was still described as an agricultural labourer and was living in Alstone with his granddaughter, Annie Lane, who was single and aged 23 born in ‘Didcote’, Glos ( probably Hidcote). George Lane was admitted to Winchcombe Workhouse on 30 December 1902. He was discharged 6 April 1903 but was back in on 16 April. He was discharged again on 30 April 1903 but was readmitted the following day. He then stayed in the workhouse until 4 June 1904 and around January 1904 requested leave to go to his son’s for a few days. He was discharged from the workhouse on 4 June 1904 but was back again on 28 June 1904. He then stayed there until 29 August 1904 but was readmitted on 5 September 1904 when the Workhouse Master commented:’ I beg to report that inmate George Lane was readmitted on the 5th Instant, he had upwards of £2.0.0 in his possession.’ He then remained in the workhouse until 15 July 1905 but returned on 1 August 1905 and remained there until his death on 19 December 1908 between Percy Grainger’s two visits to Winchcombe workhouse in 1908 and 1909. His granddaughter, Annie, had married in 1904 William George Lane probably. George’s eldest son, Charles, was born in Alstone, then in Worcestershire, and at age 11 was noted as a farm labourer. Charles married Ann Hewins in 1876 in the Winchcombe registration district. In 1881 they were living in Greet where Charles was a carter at a flour mill. They had two daughters, Edith A. (Ann or Austin) born about 1878 and Bertha Minnie born 1880, both in Greet. By 1891 they had moved to Herefordshire and were living at Silverstones, Hope Mansel, in Herefordshire, where Charles was a farm bailiff and his wife was working as a dairywoman. By 1901 Charles, was still in Herefordshire and was one of four families living at The Dam, Walford Village, Herefordshire where he was working as a groom and gardener. He died in the Ross on Wye registration district in 1909. Charles’ daughter, Edith, was working as a housemaid for a solicitor in East Court, Charlton Kings in 1901. She probably had a short marriage around 1910 as by 1911 she was described as a widow. She then married George William Broughton and they had one daughter, Phyllis, who was born in 1918 in Glamorganshire. Phyllis married Neville Martin Lane in 1942. They had one child. Neville died in East Glamorgan in 1966 and Phyllis died in 2011 in Aberystwyth. Charles’ daughter, Bertha Minnie, married William Edward Green, a colliery shoeing smith in 1902. They had ten children: Sadie born in Aberfan, Ada, born 1903 in Aberfan , Minnie born 1904/5 in Aberfan, Margaret Ann born 1905 in Aberfan, Edward Charles born 1909 in Aberfan, Thomas born 1910, Morfydd born 1912 in Merthyr registration district, Wyndham born 1913 in Merthyr registration district, Maldwyn born 1915 in Merthyr registration district, Albert Ralph born 1916 in Merthyr registration district and Thomas. In 1911 Ada was living at 38 Bryntaf Aberfan as housemaid to a retired army officer. She married Reg Mathieson in 1924. They had two sons, Roy and Terry. She died in London in 1973. Minnie married William Richard Cartwright in 129. They had one son, Richard T. Cartwright, who died shortly after birth and one further son and a daughter. Minnie was born in Aberfan and died in 1998 in Merthyr. Margaret Ann (Maggie) was born in Aberfan and married William Henry Carpenter and had one son. 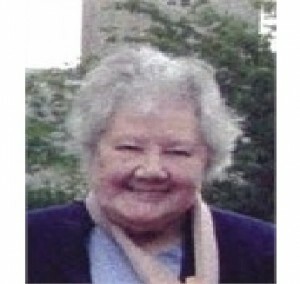 Margaret died in Croydon in 1994 and her husband in 1977. Edward Charles was also born in Aberfan and married Theresa MacLauchlan. 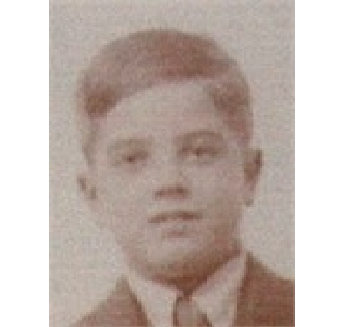 Thomas was born about 1910. He died in 1978 in Londonderry. Wyndham died in 1999 in Pontypridd. Maldwyn was married in 1956 and died in Merthyr in 1990. Albert Ralph died in Pontypridd in 1992. George’s son William was born in 1856. He and his wife, Mary, had two daughters: Ann Maude born about 1878 and Florence Ellen born 1880. Ann may have married Alfred J. Belcher in 1895 and lived in Hailes Street,Winchcombe in 1901. If so, they had two daughters. Mabel A. E. born 1897, Gertrude K. born 1899 and a son, Albert J., born 1900. George’s son, Joseph, an agricultural labourer was born in 1858 and, married twice; firstly in 1888 to Lucy Russell Peart, the daughter of his next door neighbour, a grocer and farmer. They had one daughter, Thirza in 1890/91. Secondly he married Eliza Hale in 1893. They had two children, Annie, born about 1895 and Louie born 1897.This may be the Annie whom George Lane was living with in 1901. George’s son, George was a blacksmith journeyman.